…well it’s everything really. Well let’s try and be more specific, it’s everything to do with the weather, the climate, the ground, the aspect, the landscape that the vines are planted on and subjected to. So all the natural components that go into the vines and, subsequently, the grapes. Every area in the world has a terroir. The climate is always like this or the soils are always like that, and so on. Terroir doesn’t have to necessarily be unique (although given all the factors involved, it usually isn’t far off). It is specific though. Growing the same plant in areas of different terroirs will give different results, sometimes subtle, sometimes pretty big. 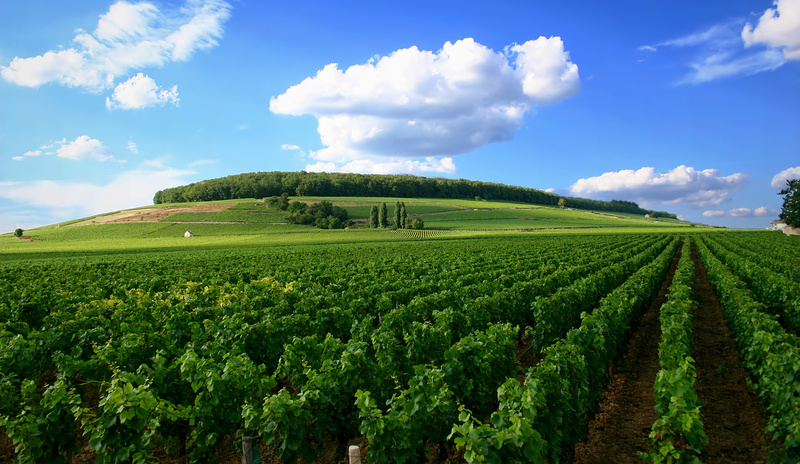 The idea of terroir is massive in wine (and many other food stuffs) and there’s few better examples of just why than when we’re having a natter about Burgundy. We spoke earlier about the way Burgundy splits its vineyards up into specific plots, and it’s the plots that gain the status of Grand and Premier Crus. This is all to do with terroir! That plot gets better sun exposure during the early autumn. This plot has slightly less nutrients in the soil than the one next to it. It goes on. Mostly this was found out by producers over many years and sometimes the science behind it can be questioned. The results mind you pretty much speak for themselves. I was at a wine dinner a few weeks back and the producer of the wines, Cédric, brought over with him a premier cru and normal wine from the appellation. These grapes were grown 200 yards away from each other, same grapes, same grower, same production method in the cellar. But they were completely different wines. Terroir is important all over the world, and Burgundy is one of the best places to highlight this. Just don’t get caught trying to explain what it is. It’s well…you know…um…how do I put it? The Best of Burgundy #5: On Yer Bike, Son!